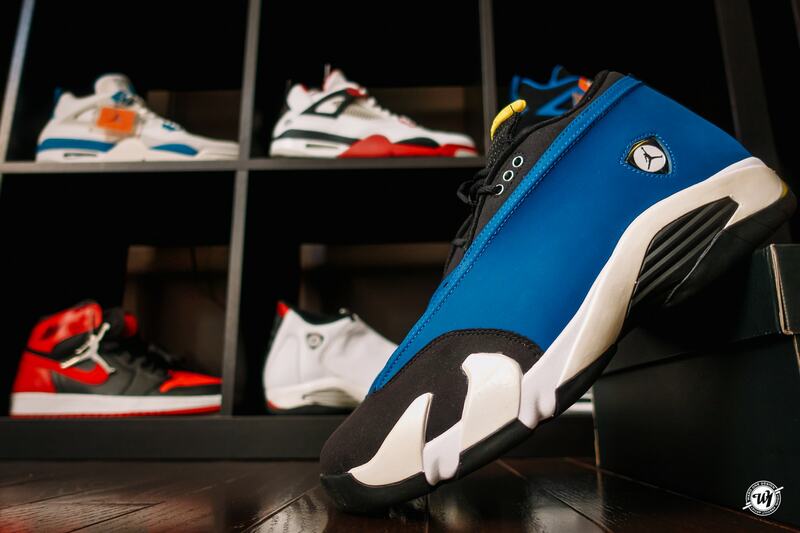 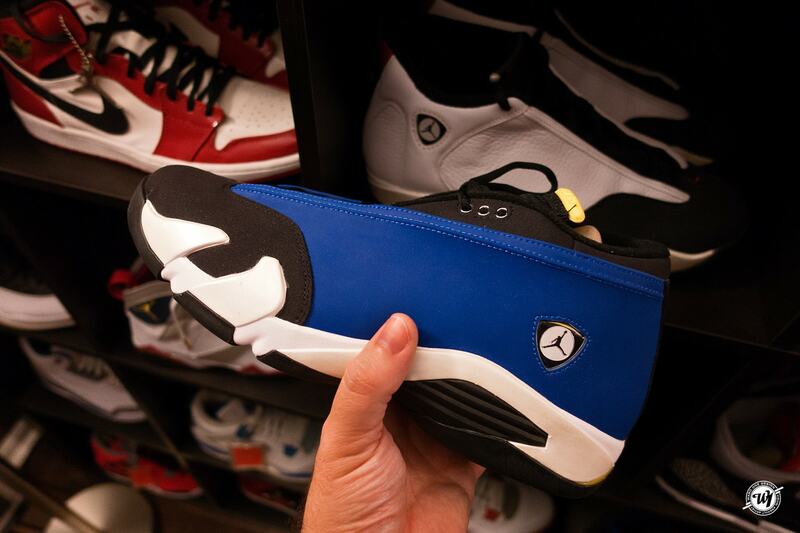 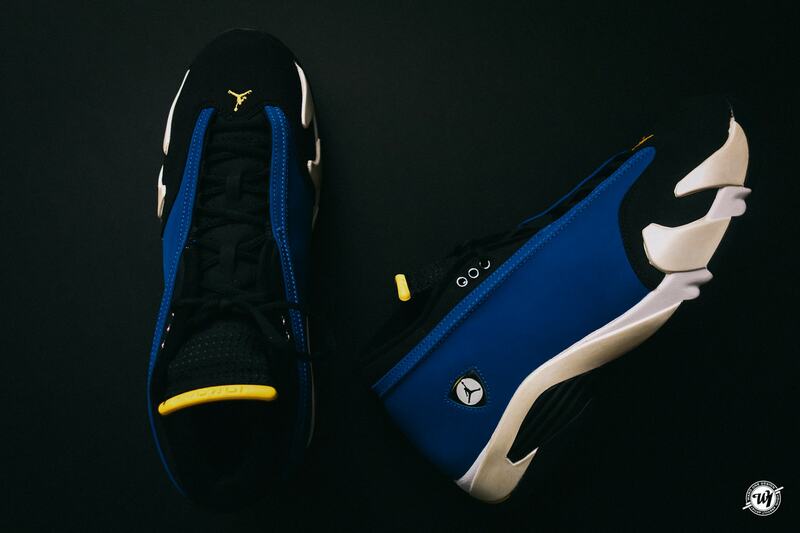 The Air Jordan 14 grabs inspiration from the high end luxury brand, Ferrari. 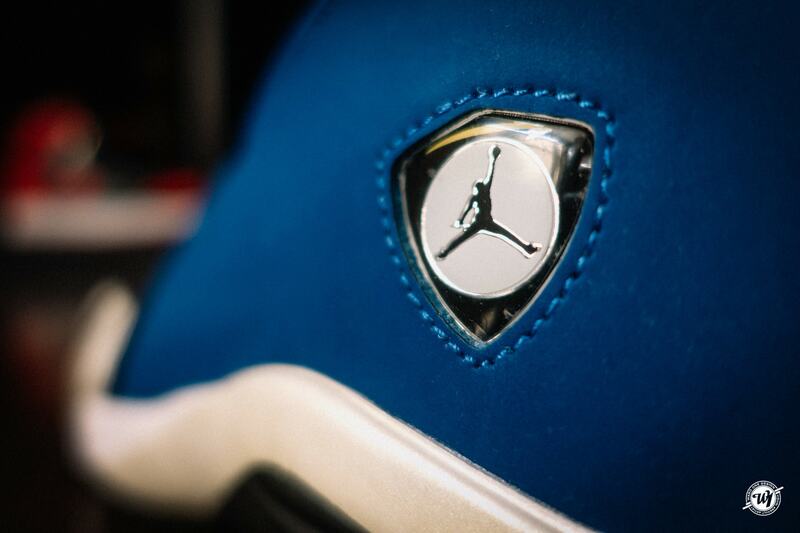 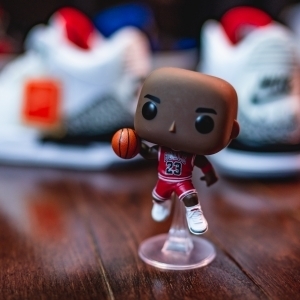 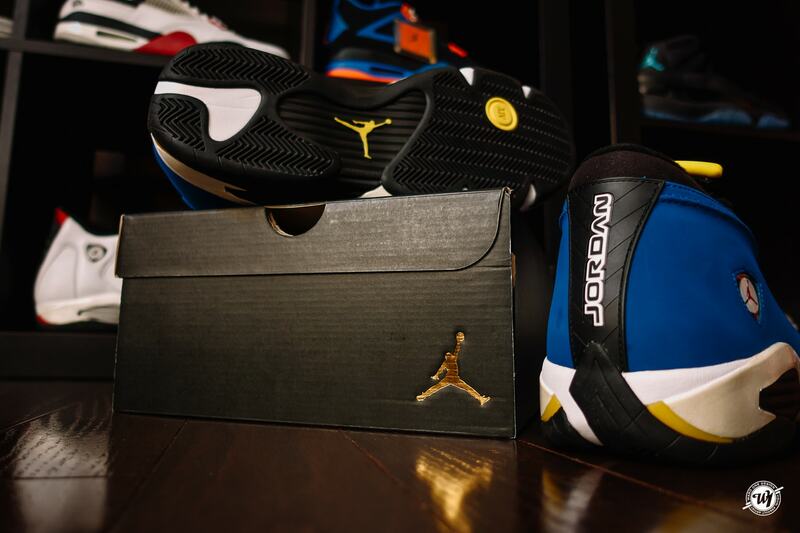 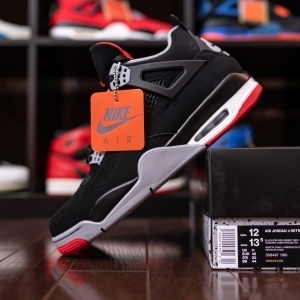 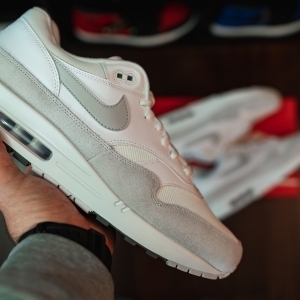 With it’s sleek lines and aerodynamics design, the Air Jordan has a polished look of its own. 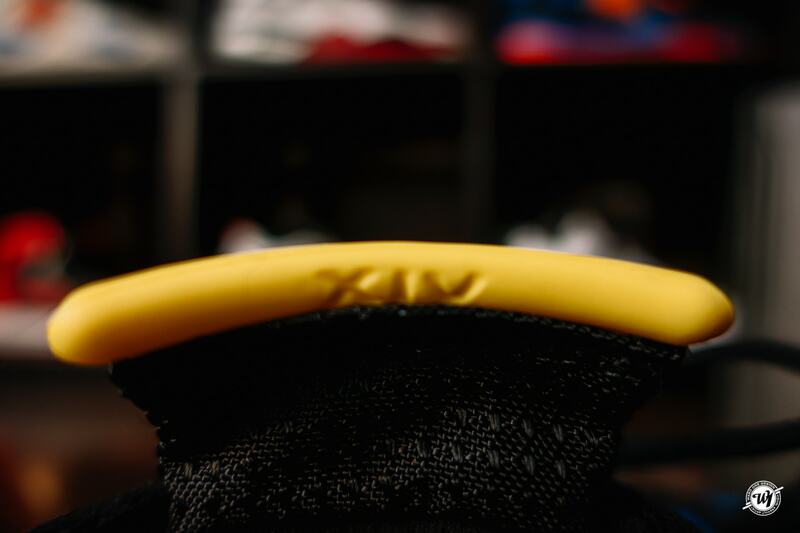 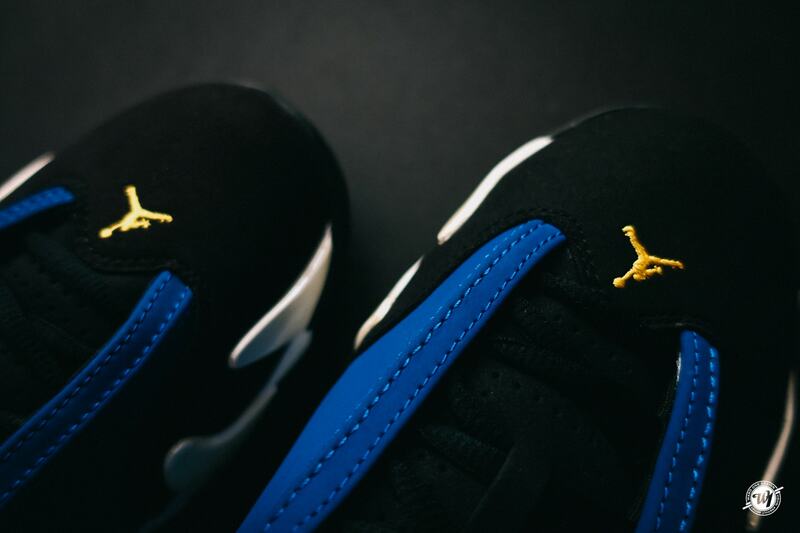 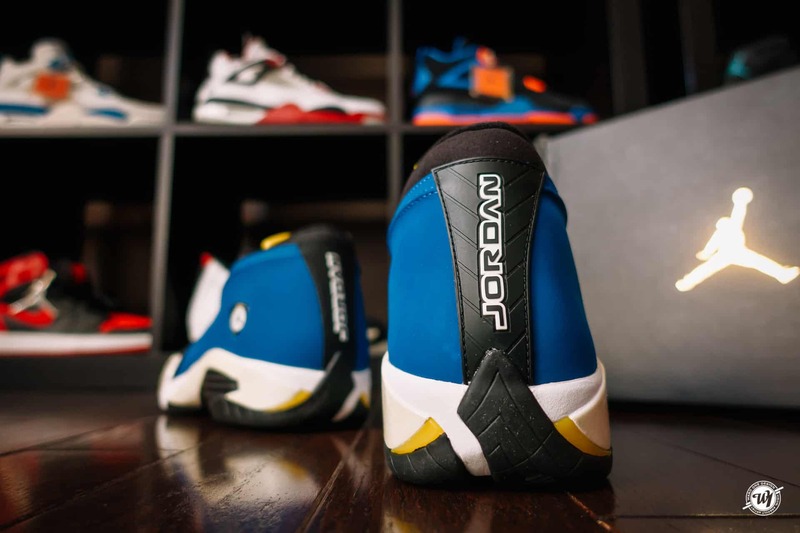 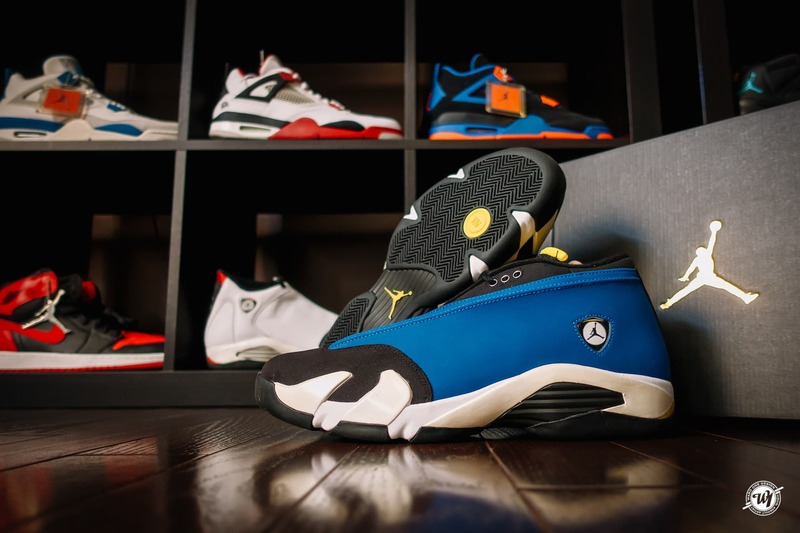 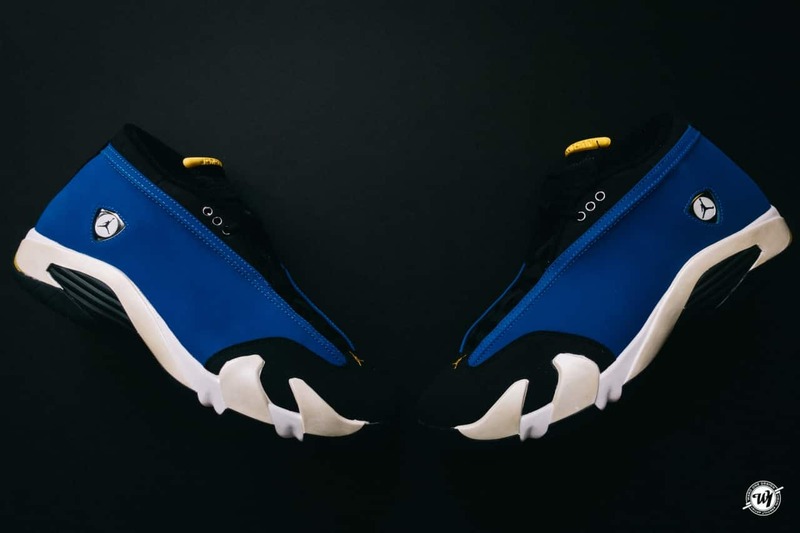 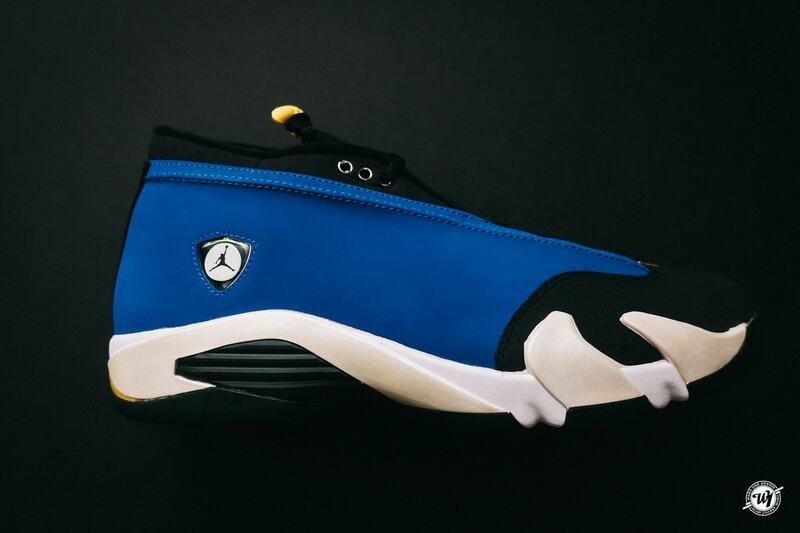 Coming in an all-black nubuck leather upper, the Laney 14 comes highlighted with varsity royal accents and hits of maize found on the Jumpman and tongue.